Summary: Dogger is Dave’s favourite toy in the whole world. 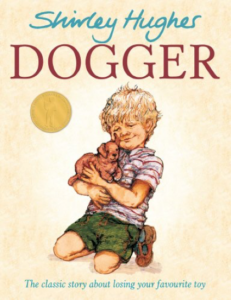 But one day Dogger goes missing, and when Dave finds him at the school fair, Dogger has already been bought by someone else! Dave turns to his big sister to help get Dogger back. How do you think Dave felt when Dogger went missing? How would you feel if your favourite toy went missing? Summary: One day, Peter wakes up to discover it snowed (a lot!) overnight. He goes outside and has fun in the snow. He makes a snowball and puts it in his pocket, but later discovers that it melts. The next day the snow has not melted, it is still there, so Peter makes plans to enjoy another snowy day with a neighbour friend. Why it’s worth repeating: Peter lives in an urban area and still has fun in the snow, he is generally playing by himself so he has to be creative to come up with fun things to play. Each time you read this story you can focus on a different thing you can do with snow or a different trait of snow: it makes a crunch sound, it shows your foot prints, it melts…. Peter did a lot of things in the snow, what do you think was the most fun? Have you ever made tracks in the snow? Made a snow angel? Made a snowball? The big boys are having a snowball fight, but Peter knows he is too little to join in. Have you ever felt too little to join in? Peter lives in a city and still has fun playing outside. Do you like to play outside where you live? Peter dreamed the snow melted before he could enjoy another snowy day. How do you think that dream made him feel? How do you think he felt when he saw the snow was still there and new snow was falling? 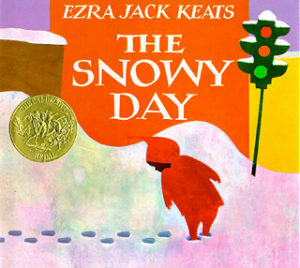 recreate Peter’s snowy day and do the different things he did in the snow. Go to the beach/seaside and see if you can do the same things with the sand or pebbles. Why or why not? For more ideas see the Erza Keats Foundation Page for this book. If you are unfamiliar with this book, you can read about it’s historical significance here. and watch a reading of it here. An experimenter reads to a child at the WORD Lab. 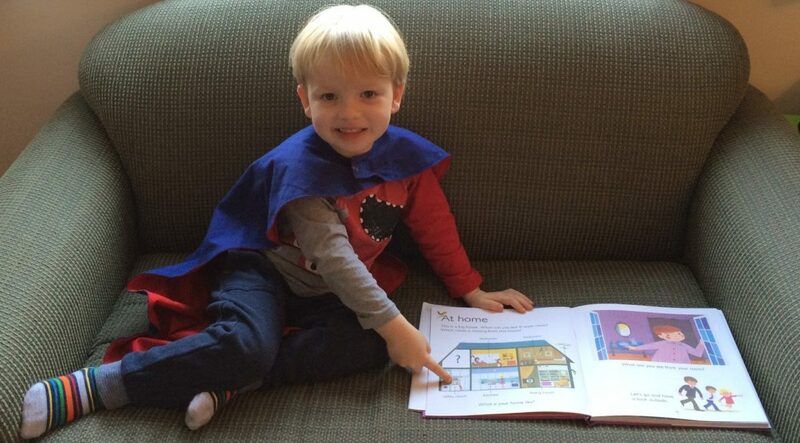 Reading to your toddler before their nap significantly enhances their learning, according to new University of Sussex research. […] children who had been read the same story before their nap performed significantly better than those who hadn’t had a sleep. Significantly, those children who had been read three different stories before their sleep performed 33 per cent better than those who had stayed awake after hearing those stories. On subsequent tests, the researchers found the wakeful ones never caught up with their peers in word recall. Read more here (and read the paper here).